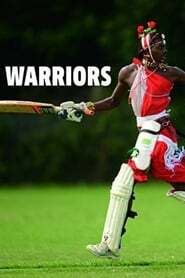 Under the shadow of Mount Kenya, young Maasai Warriors have remarkably formed a cricket team. In a community deep with tradition, where female genital mutilation (FGM) is still a rite of passage, these young Maasai express their frustrations at inequality by smacking cricket balls on the plains of Kenya and dreaming of life beyond their own village. Thus begins a journey all the way to England; the home of cricket. It is a journey which gives the Warriors the courage to face their elders in the hope of ending FGM. Why is it we never actually see a ghost in the dozens of documentaries out there, yet people claim they see them daily. A non believer, and his film friends seek out to find the truth. Documentary which gets to the heart of who Jeff Lynne is and how he has had such a tremendous musical influence on our world. The story is told by the British artist himself and such distinguished collaborators and friends of Jeff as Paul McCartney, Ringo Starr, Tom Petty, Joe Walsh, Olivia and Dhani Harrison, Barbara Orbison and Eric Idle. The film reveals that Lynne is a true man of music, for whom the recording studio is his greatest instrument. With access to Lynne in his studio above LA, this is an intimate account of a great British pop classicist who has ploughed a unique furrow since starting out on the Birmingham Beat scene in the early 60s, moving from the Idle Race to the multi-million selling ELO in the 70s and then, with Bob Dylan, Tom Petty, Roy Orbison and George Harrison, as a key member of the Traveling Wilburys.